Ready for a trip back in time? Here at Nat Geo Kids, we’re travelling back to Tudor England in our Henry VIII wives feature. Hold onto your hats – and your heads! Anne Boleyn became Henry’s second wife after the pair married secretly in January 1533. By this time, Anne was pregnant with her first child to Henry, and by June 1533 she was crowned Queen of England. Together they had a daughter, Elizabeth – the future Queen Elizabeth I. But, still, it was a son – and future king of England – that Henry wanted. Frustrated, he believed his marriage was cursed and that Anne was to blame. And so, he turned his affections to one of Anne’s ladies-in-waiting, Jane Seymour. And Anne’s fate? Following accusations of numerous crimes, including witchcraft and treason (plotting to kill the king), she was arrested and beheaded. Eek! On 30 May 1535, King Henry married Jane Seymour. Unlike his previous wives, however, Jane never had a coronation and so was never crowned Queen of England. Some people believe this was because Henry wanted her to provide an heir to the throne first. And in October 1537, the time had finally come – Henry became the proud father of Prince Edward. 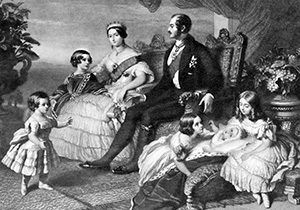 But the prince came at a price – Jane took ill and died just two weeks after the birth. 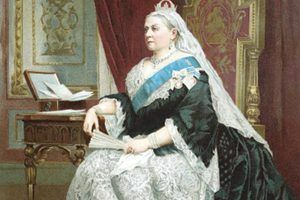 She was buried in a tomb at Windsor Castle, and would later become the only one of Henry’s six wives to be buried with him. Henry was single for two years after Jane Seymour’s death. But as time passed, the King and his ministers felt that England needed a foreign ally – and so the hunt for a new bride began! Henry sent a talented painter called Hans Holbein to Germany to paint portraits of the Duke of Cleves’ daughters, Anne and Amelia. Anne’s portrait pleased him, and arrangements were made for the pair to wed. But Anne’s arrival in England proved to be a bit of a disaster to say the least. Seeing her in person, Henry took an instant dislike to Anne and, finding her ugly, referred to her as “The Mare of Flanders”. Poor Anne! Too late to cancel, their wedding took place 6 January 1540, only for the marriage to be annulled a few weeks later. Next in line to marry King Henry VIII was young Kathryn Howard – lady-in-waiting to Anne of Cleves and first cousin to Henry’s second wife, Anne Boleyn. 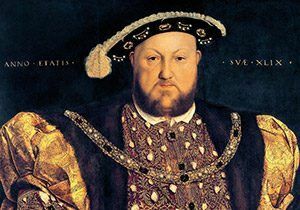 By the time they married in July 1540, Henry was 49 years old, overweight and unable to walk, and Kathryn a lively teenager. Delighted with his new wife, Henry is said to have spoilt Kathryn with gifts and called her his “rose without a thorn”. But trouble lay ahead for Kathryn – two years into their marriage, she was accused of being unfaithful to the king. Her fate..? Beheaded! The last of Henry VIII wives was Catherine Parr. An educated woman who loved to learn new things, Catherine married Henry on 12 July 1543. She proved to be a kind wife who looked after Henry in his sickness, and a good stepmother to the king’s three children, Mary, Elizabeth and Edward. But yes – you guessed it – she didn’t have it easy with Henry! 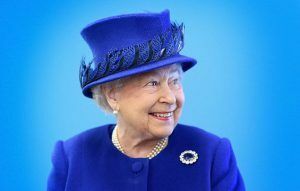 Her interest in Protestantism (a new religious faith) made her enemies in court – enemies who tried to turn the king against her and have her arrested. Luckily for Catherine, she managed to convince Henry that she was loyal to him and his religion, and was spared execution. Phew! Henry died in 1547, leaving Catherine widowed and free to marry her former love, Thomas Seymour. Love reading about Henry VIII wives? Leave us a comment letting us know what you think! He has so many wives! I loved this fact and I know already know what to learn and also I can able to do my homework and revision. Why do Henry the VIII need so many wives why can't he just afford one wife rather than 6! I need to investigate more about why he wanted so many wives! What I think was that Henry the VIII was a greedy man that wanted everything he want's. Catherine Parr is the best. I wonder why King Henry married 6 wives.6! Cool, those facts were amazing!! Amazing! King Henry is so evil though. Wow I never thought someone can have so many wives! Wow.. I gotta tell my friends this!! We liked reading about Henry VIII beheading his wives. this is a cool Story!!! DIVORCED, BEHEADED AND DIED! DIVORCED, BEHEADED, SURVIVED! Thanks for helping i had an exam about the Tudors and you gave me a lot of information. Thinking about the wing tomorrows video about Henrys wives maybe for epic proportions!!! Thank you so much!! This helped me revise for my history exam this afternoon! Nervous! Nice facts! My sis loved them! thx, helped me with my Homework!!!!!!!!!! Theres a rhyme - divorced ,beheaded,died, divorced ,beheaded,survived! Wow! I love the facts! I can not believe henry had so many wives! This is a very interesting topic. I really enjoyed it!!!!! I needed to do a presentation . thisll reeally help.thanks! Thank you so much for this !such a big help! very good! we r doing tudors 2! we are doing the tudors and this will REALLY help me THANKS!!!!!! Thank you soooooo much! I now love history!!! You made history class a breeze! You deserve a big THANK YOU!!!!! Awsome... its full of information i didnt know about Henry the 8th. Wow he had loads of wives!!! That is my very favourate part of history! Anne Boleyn was very beautiful! He has a lot of wives!!!! 6 of them!!!! !